Penelitian - A four-member expert team will leave for Indonesia on 22 October to check pharmaceutical company, PT Bio Farma, seeking to solve the mystery behind the contamination of some batches of a polio vaccine that now threatens to change India’s status as a polio-free nation. India’s drug regulator had requested the health ministry to advance their trip so that they start investigation without any further delay. 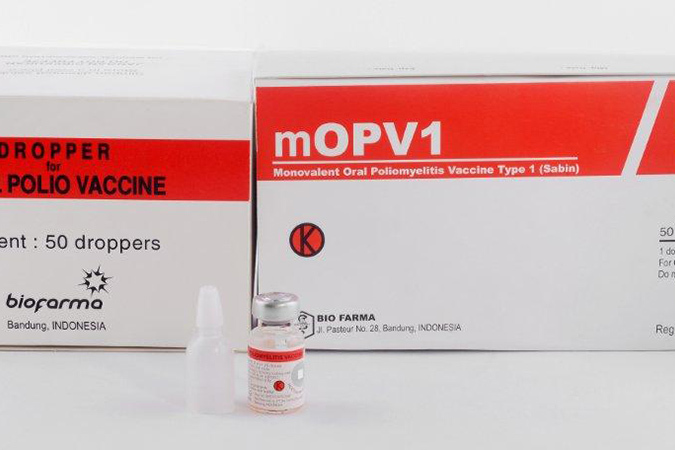 The Indonesian company supplies the key starting material (KSM), the active raw materials used in a vaccine that give it a therapeutic effect, to Indian manufacturers that make polio vaccines in oral forms. “Four drug inspectors from CDSCO (Central Drugs Standard Control Organisation) will be travelling to inspect Indonesia’s PT Bio Farma. The investigation will start from October 22-26. It provides KSM to the companies here to prepare polio vaccine. We were to leave on 29 October, but proposed to advance the trip, which has now got an approval,” an official in the regulatory authority said. The polio drops, which carry weakened polio viruses, are given to children below the age of five under a government run programme designed to build their immunity against the crippling disease. Since 29 September, when news of the contamination surfaced, regulators have been investigating how the type 2 strain of polio, believed to be long gone, found its way into vaccines made by Ghaziabad-based Bio-Med Pvt. Ltd. The type 2 strain is thought to have been eradicated so long ago that the current polio vaccine no longer protects against it, and vaccine makers have been asked to remove it from the vaccine and destroy their stocks of the strain. Traces of polio type 2 virus were found in some batches of polio drops given to children. The company was supplying polio vaccines for the government-run universal immunization programme. Around 50,000 vials, one vial has 20 doses, of contaminated vaccine are believed to have been used in Uttar Pradesh and Telangana. A detailed investigation on the testing mechanism followed at government’s central drug laboratory at Kasauli and the tender procedure that is followed to choose the company for supplying vaccines.